There are times you need to remove trees and other vegetation in order to reclaim a portion of your property for another use. 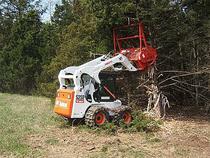 Daytona Beach Tree Pros have the right equipment to get that done for you. We specialize in such tasks as land clearing, bush clearing, and tree clearing; as a matter of fact, it is one of our specialties that our satisfied customers always refer others to us for. Whether vegetation has taken over control of a section of your property and needs to be cut back, or you need some trees taken down to put an addition on your house, we can expertly handle it for you. Why clear land? We have already told you about the need to build structures or extend useful areas in your yard, but there are other reasons to perform Daytona Beach, FL land clearing. Overgrown areas tend to be a haven for rodents and other nuisance critters which will eventually make their way into other parts of you or your neighbors’ yards, or even worse your home. Hazardous trees can also pose a potential threat to damage a structure or worse yet potentially cause injuries if they fall. So do yourself and your neighbors a favor and let us get these problems taken care of for you; you will be very glad you did when you see the results. Land clearing in Daytona Beach, FL is a routine process for our trained professionals who have substantial experience, as well as required equipment, to handle these projects. There is a lot of expertise that needs to be applied when land clearing Daytona Beach, and it takes a lot of special equipment to do it, too. Daytona Beach Tree Pros has the necessary amount of each to handle any land clearing project you may require. So if you are tired of snakes and rodents making their way into areas that your children play in or where you do your everyday living, then lot clearing may be just what the doctor ordered for you and your family. It will make your yard area much less critter friendly and a lot more aesthetically pleasing. Daytona Beach lot clearing is something we are very experienced with, and our efficiency will save you money. There are a lot of potential hazards that need to be avoided when land clearing in Daytona Beach, and that is why it is best left to experts like us. We know what problems can potentially arise when doing this work and we are also fully insured in the event of a mishap. It is very important to make sure you hire an experienced company at this type of work and can present proof of insurance if requested. you might expect. We are a customer focused business that prides ourselves on offering fair and competitive pricing. Before we start we would be happy to come to your home or business and give you an estimate for your Daytona Beach land clearing project that you need completed; we can even provide you with an overall tree analysis at the same time if you like and save you some money by bundling services. We can truly improve the looks of your trees and lot in any Daytona Beach home or business. So call us today at 386-267-8220 for a free estimate from Daytona Beach Tree Pros. Our focus will be on your satisfaction, as we always aim to build long-term relationships.